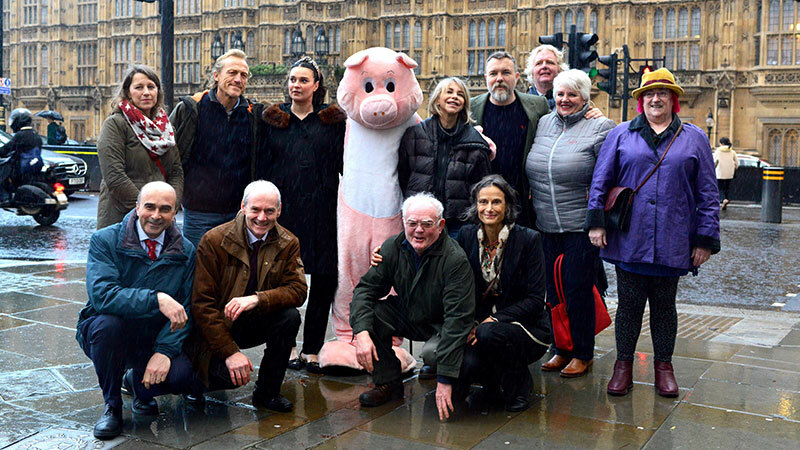 Rosie Wardle, Jerome Flynn, Gizzi Erskine, Pester Pig, Leslie Ash, Ciaran McMenamin, James Orr, Gwyneth McQuiston, Harriett Moore-Boyd, Philip Lymbery, Raymond Pollock & Tracy Worcester outside the House of Commons. 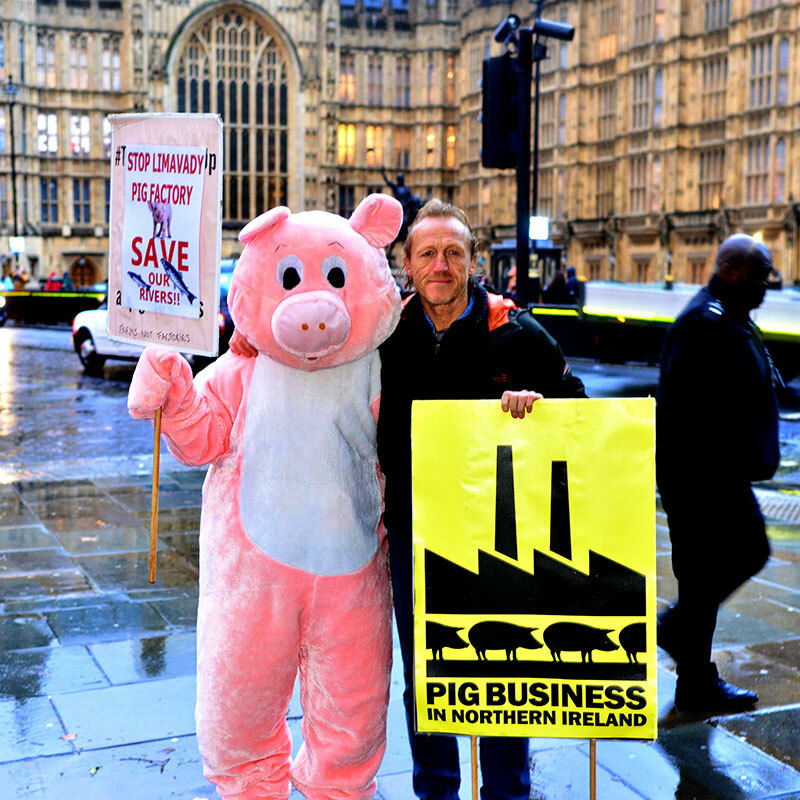 A public outcry has currently stalled the planning application for a colossal pig factory near Limavady in the picturesque landscape of Lough Foyle. Over 17,500 people objected or petitioned the Council. 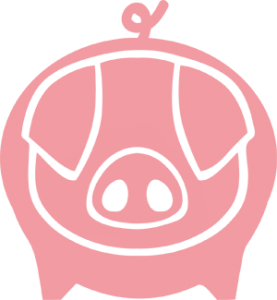 Local residents object because of the stench that would come from 18,000 pigs living in confined spaces, the antibiotic resistant bacteria, resulting from the constant antibiotics needed to keep the pigs alive in insufferable conditions, that spread from the sheds to neighbouring residents, and the toxic emissions created by 66,000 tons of additional pig waste spread on surrounding fields as liquid slurry. 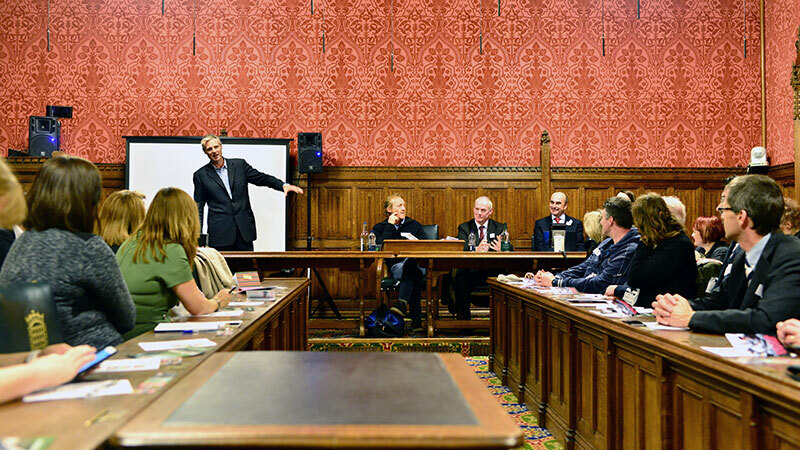 Through the screening of our new documentary Pig Business in Northern Ireland and a subsequent panelist discussion, our aim was to inform regulators about the current sorry state of the pig industry. 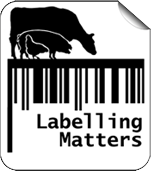 We also wanted to alert investors to the significant material impacts that investments in factory farming could have on the value of their portfolios due to the potential legislation to mitigate impacts of climate change, antimicrobial resistance and pollution from excess nitrogen. Vincent Lusby: “The whole of Lough Neagh is protected. Lough Neagh is the largest freshwater body in the British Isles. It has failed Water Framework quality standards for 10 years in a row. There are four levels of failure and it’s the worst. It’s basically a septic tank for Northern Ireland”.